WINDOWS (WIN98, WIN2000, WINXP, VISTA, WIN7), with a friendly UI, and interface for secondary development. 1: Aluminum cabinet made by CNC has more accurate tolerance on structure than that made by metalplate processing, which ensures the flatness of the entire LED screen. 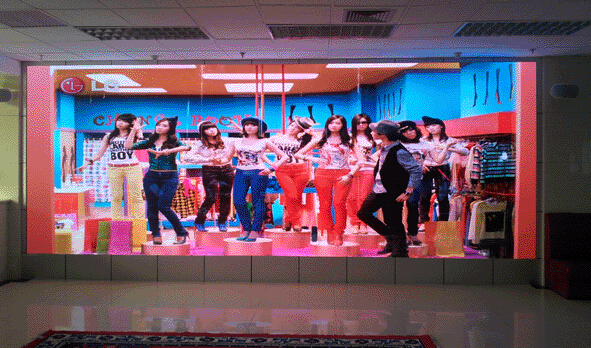 2: But light weight less than 7kg enable one-person installation easier and simpler, save installation time traditional LED screen is over 25 Kg with the same size. 3: Adopting the CNC aluminum processing, it is high strength, high tenacity, high accuracy and not easy to distort. The thickness of our cabinet is 63mm, the traditonal cabinet is 160mm. 4: Adopting quick locking mechanism on the Up, down, left and right connection. You can install one cabinet with high accuracy in 10 seconds. Cabinet splicing and wiring connection is fast and reliable. Not only beautiful appearance but also a real sense of the rapid disassembly. 5: Adopting modular design, assembled cabinet can install and disassembly quickly and easily. It is easy to maintenance. 6. New structure design, can satisfy hoisting, overstow, indoor used requirements. Cabinet simplification. 7: Has excellent heat dissipation design and performance. it is low noise and doesn't need external fan or air-condition. With the features of lightweight and low power consumption, it can reduce the labor cost of installation and operating costs.